Last updated: Feb 12th, 2013. The HTC One is the manufacturer's flagship device for 2013. The device's specs put it in the top of the smartphone pyramid, featuring a 1.7 GHz quad-core Snapdragon 600 processor, 2 GB of RAM, a 4.7-inch 1080p display and Android 4.1.2. 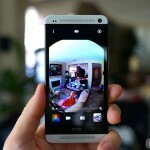 Its camera technology takes it up a notch by offering what they call an HTC UltraPixel sensor, complete with HTC Zoe features for capturing interesting memories in unique ways. The aluminum unibody build gives the HTC One a premium look and feel, to boot. It’s been a long time coming, but if you wanted to see how the HTC One Google Play edition stacked up against the original HTC One Sense 5 version, check out our review where we cover everything from benchmarks, to apps, features and pricing. 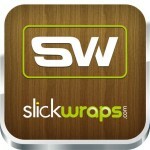 Slickwraps provide 360 degree level of protection from dust, the occasional light drop, and especially scratches and dings. If you are looking for similar protection for your HTC One, read on to see my take on their latest skin. I have traded my iPhone 5 for a HTC One, my first Android phone. After three weeks, here are some of my first impressions of the key features of the HTC One. 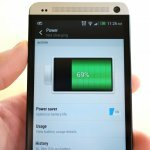 I know it sounds obvious, but the HTC One’s Power Saver mode could yield great battery life results for every day use, not just emergencies. 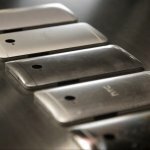 HTC has lost it’s way and customer interest in recent years, could an HTC One M7 reboot save the company and allow them to rejoin the mainstream smartphone space? Feeling lucky? 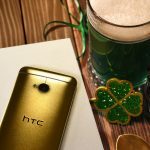 HTC is giving away a very delightful pot o’ gold for Saint Patricks’ Day: a gold-plated HTC One M7! HTC’s hard at work on making the flagship they hope will dig them out of the dumps. New rumors suggest they’ll be going with a new naming scheme for their 2016 effort. What might otherwise be known as the HTC One M10 will come to market as the HTC O2, rumors suggest. 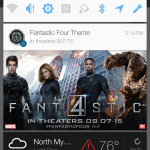 Uh oh… HTC managed to piss off a few One M7/M8/M9 owners after pushing a Fantastic Four notification ad to their devices. While it’s technically notifying users of a new theme available to them, it’s hitting a little close to home for those that remember Android’s AirPush ads from back in the day. 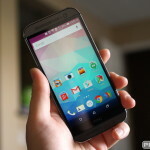 Verizon HTC One M7 customers need not worry about the fate of their device as it pertains to Android 5.1 Lollipop. 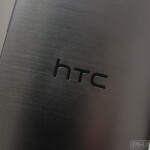 HTC’s Mo Versi has confirmed on Twitter that the device will be receiving the upgrade as soon as tomorrow, May 14th. It’s also rolling out for the Google Play Edition right now. Heads up HTC One (M7) owners on AT&T. HTC Product Manager Mo Versi revealed today on Twitter that Android 5.0 Lollipop has officially been green lit by AT&T, but we have a feeling not everyone is going to be happy about the update. Hasn’t been too long since HTC missed their 90-day window for Lollipop, but now the HTC One (M7) unlocked and Developer editions are now receiving Android 5.0. It’s only been a few days since HTC announced that the carrier release for Android 5.0 Lollipop had been delayed for both the HTC One M8 and original HTC One (M7). Now it looks like Sprint could be first out the gate with Lollipop for the M7. HTC has formally admitted that Android 5.0 Lollipop wont rollout to the HTC One (M7) and One M8 before their self-imposed 90 day deadline. 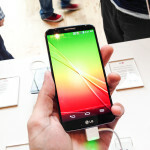 Blames buggy Android code for delayed rollout. With more and more Android users moving away from contracts, it’s important to find solid devices on the cheap. 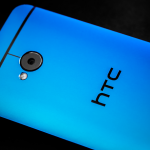 Right now, Best Buy is offering up their exclusive electric blue HTC One (M7) for only $200 full price. No contracts. No subsidies. No games.